Will Tech I.P.O. 's Deliver in 2011? Back in the 90’s, tech start-ups were all the rage in the Silicon Valley and anyone with a fistful of twenties and an idea that wasn’t totally out in left field could go public. Many people made a lot of money on these start-ups and ultimately many people lost everything when the dot com bubble burst. At the peak of this financial phenomena Silicon Valley was creating hundreds of I.P.O.s (Initial Public Offering) a year. According to investment firm Renaissance Capital, in 2010 there were just forty-five offerings of tech companies and even less in 2009 with sixteen. The financial crisis has really taken a toll on tech public offerings and investors have been left hungry. 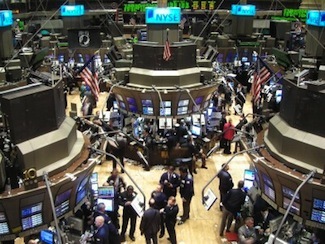 Will 2011 be the year Silicon Valley sees a return to the pre-recession days? Although it doesn’t seem as if there will be public offerings in the triple digits, there are some hot brands that may be looking at I.P.O.s in the coming year. Groupon, Skype,Facebook and Zynga have had analysts scratching their heads as to when they will go public and investors seem to be waiting with cash in hand. The magic question that everyone is trying to answer, will these hot companies choose to go public or will they continue to seek additional venture capital funding? Groupon is negotiating with Fidelity, T. Rowe Price and Morgan Stanley for another round of financing that could be as large as $950 million, which puts a damper on a potential 2011 public offering. Similarly, Facebook raised more than half a billion dollars from the Russian firm Digital Sky Technologies. If these popular American companies decide to stay private look toward the Chinese companies looking to go public on the American Exchange. There seems to be many of these Chinese companies but the one that seems to have the biggest potential is one called DangDang, an online retailer that experienced higher than expected returns raising $272 million. We now all sit back and wait to see if 2011 will be the year tech I.P.O.s explode and give the economy a charge, or if these high profile companies continue to acquire private funds. What do you think will happen 2011? If there is a tech I.P.O. explosion what companies would you like to invest in? Hopefully the TechnoBuffalo readers will give some hot investment tips.